Created for the entire family – as well as your pets – this gentle, non-fluoride formula contains only the highest quality ingredients including aloe vera and bee propolis. Enjoy its natural mint flavour for a taste that will leave your mouth refreshed and your teeth clean. 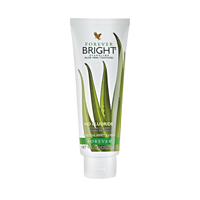 This toothgel is also suitable for vegetarians since it contains no animal by-products. Brush teeth after meals, have regular dental check-ups and avoid snacking between meals.